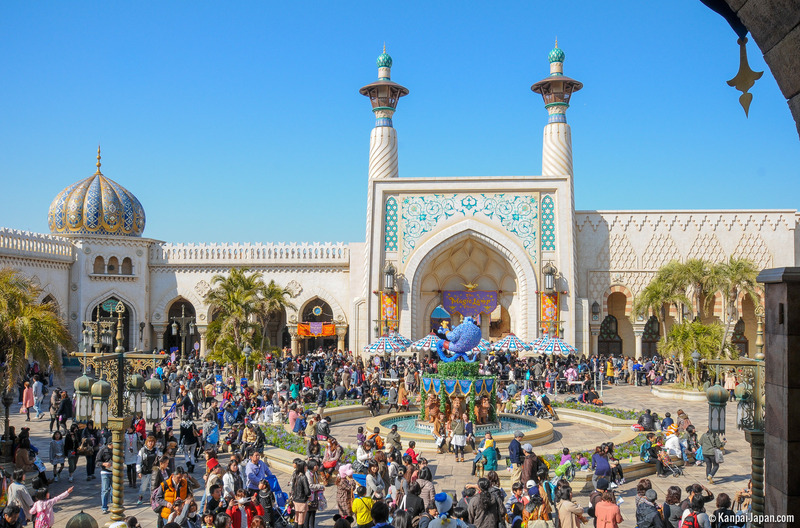 Tokyo Disneyland, a replica of the original Anaheim’s Magic Kingdom in California, which opened in April 1983 and offers comparatively standard attractions. 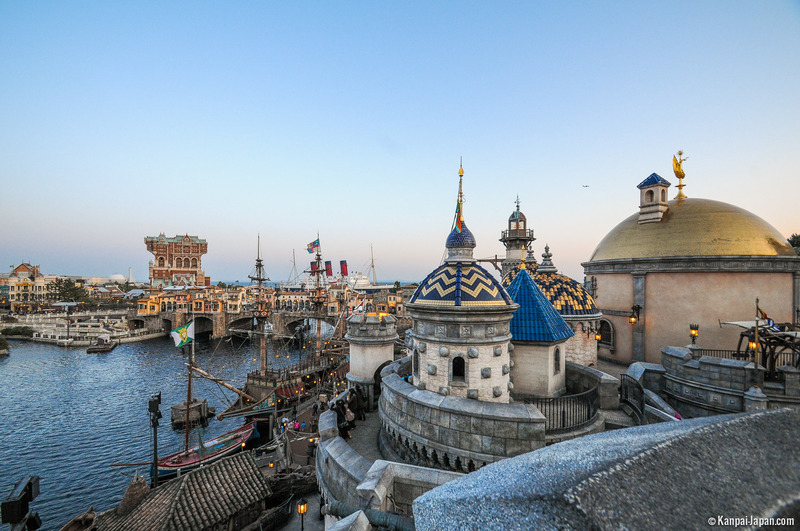 Tokyo DisneySea which opened on September 4th, 2001 and is one of a kind, a theme park about the seaside. It is considered by many fans as the most beautiful Disney park in the world. Although aficionados will experience no unfamiliar feelings there, there are, however, a few specific features. First and foremost, merchandising is in tune with the country’s culture. Cell phone accessories, a favorite with Japanese people, are everywhere on offer along with rice spoons, chopsticks, plastic holders, etc. 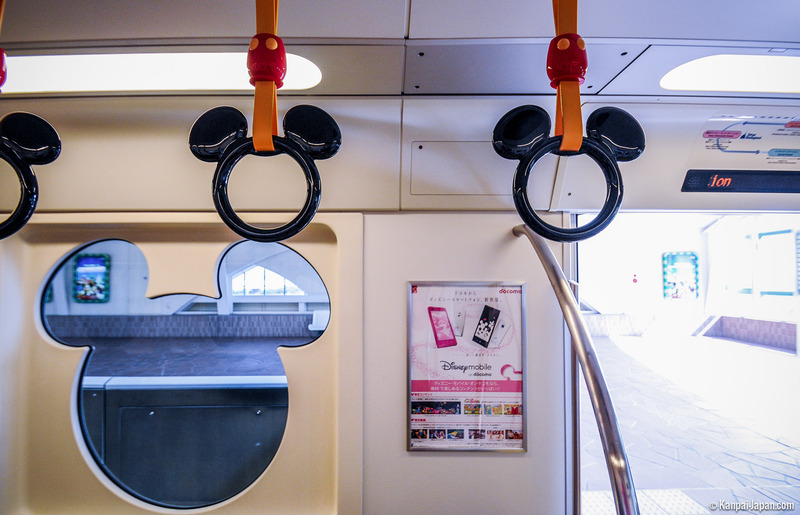 It is not uncommon to come across local people proudly sporting Disney lanyards to hang their Suica cards, several keyrings hooked to their rucksacks and even sometimes Mickey Mouse ears on their heads. Tokyo Disney parks are, in fact, politely staffed and impeccably maintained Japanese-style versions. And so they should be, as visitors literally come in throngs! Tokyo Disney Resort is actually the most visited tourist attraction in the world and there is no missing this fact: the average waiting time for any attraction is between one and two hours and you therefore obviously need to plan your visit carefully in advance as it is clearly impossible to do everything in just one or two days. 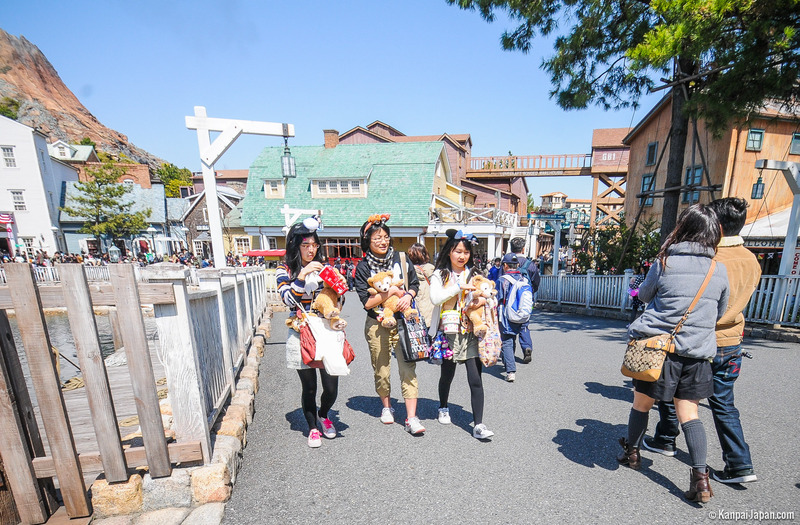 For figure lovers, let it be mentioned that, in early April 2015, Tokyo Disney Resort officially reported 31.38 million visitors during its 2014 fiscal year, a record number for the third year running. Which brings the total number of visitors since it opened back in 2001 to 630.39 million! 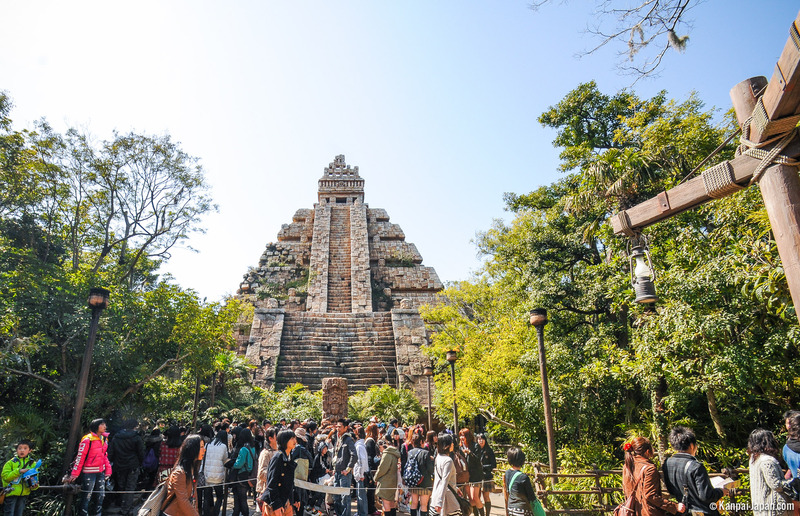 Our advice is to make DisneySea your priority, as far as possible. 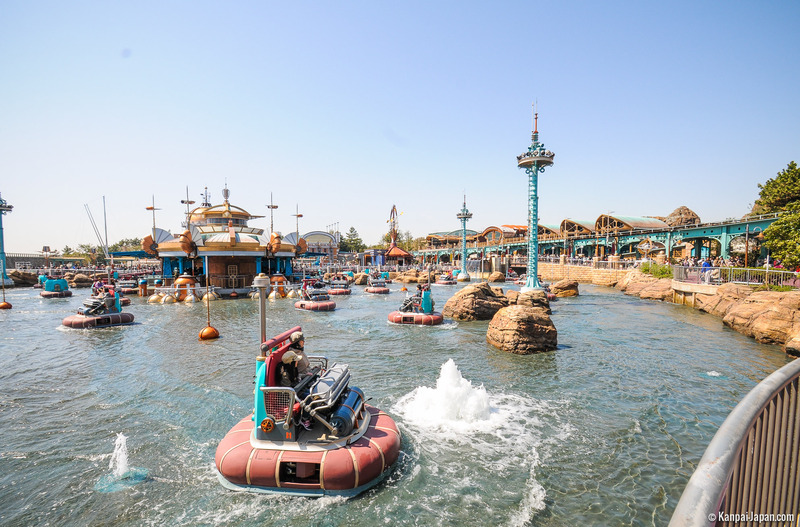 It will offer you a very different experience especially if you have already been to any of the other Disney parks in the world, where many of the most popular attractions are similar (Pirates of the Carribbean, Big Thunder Mountain, Buzz Lightyear's…). 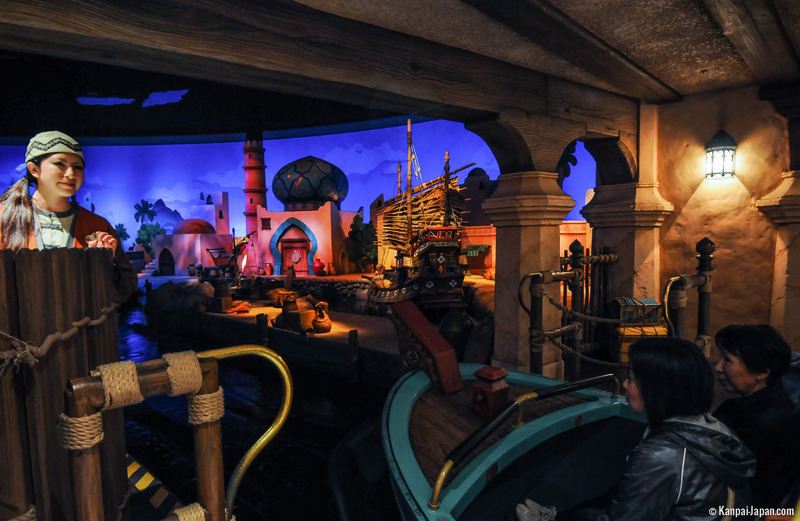 Despite these common features however, Tokyo Disneyland also offers some attractions as yet unreleased such as the new version of Star Tours, and also Splash Mountain, Monsters Inc., Ride & Go Seek, Jungle Cruise, and the whole of Land Toon Town. Leave your grown-up self behind and enjoy yourself to the fullest! Forget about your experience of other Disney resorts worldwide. 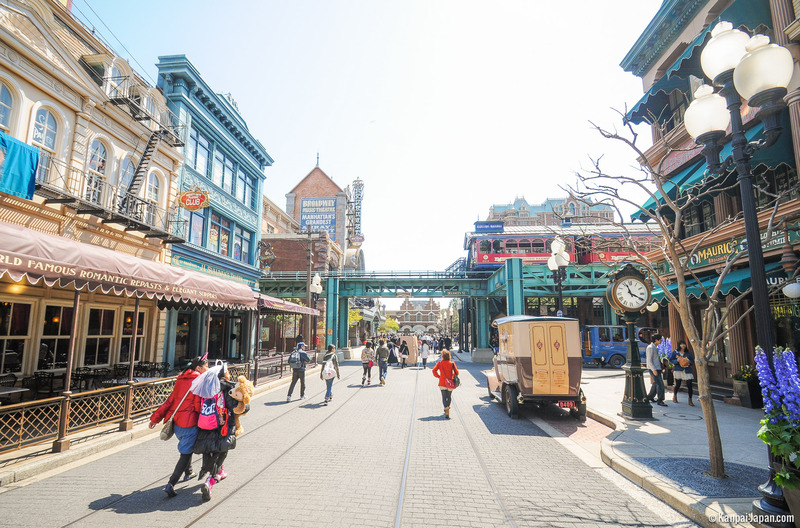 Tokyo DisneySea is actually completely different. It consists of several lands, each with its own characteristic features, designed to evoke as many ports-of-call in various regions of the world (Arabia, Italy, the USA and the jungle in Southern America). However distinct, these very different worlds perfectly blend into each other and visitors are allowed to pass from one to the other almost unawares. 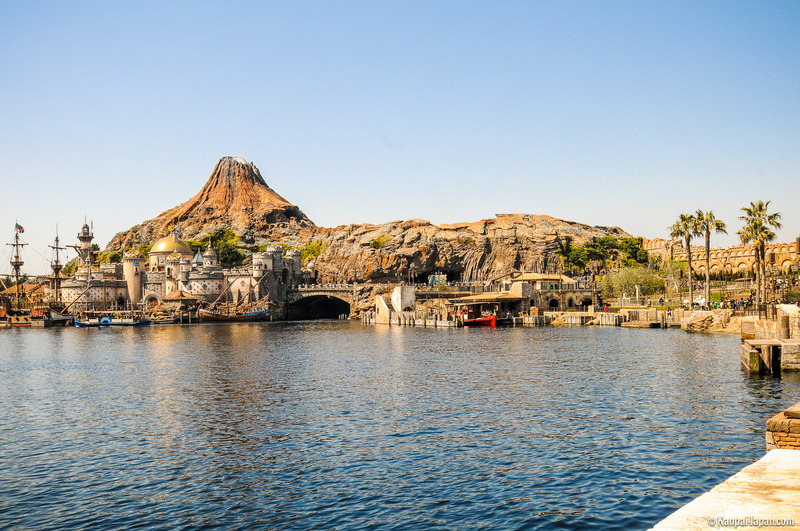 We recommend any fan visiting Japan to spend a day there as Tokyo DisneySea really stands apart in Disney’s world. It is also worth mentioning that Japanese visitors instinctively comply with the rules of organization and show great respect. People spontaneously line up if several of them are waiting before the pop-corn stand (curry, caramel, strawberry or even pepper-flavored depending on the land!) and there is no getting by. You will definitely not witness such disorderly behavior as sometimes occurs in other parks. 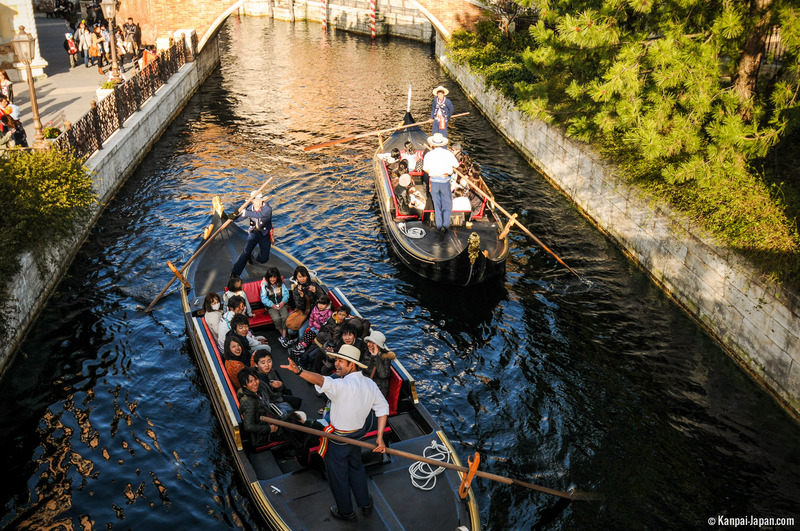 Moreover, Japanese visitors are in no way put off by the endless queues to the most popular attractions and more often than not, they will join a 170 -minute waiting line without flinching! They will even go to such lengths as arriving onsite up to 2 hours in advance of a show’s scheduled time in order to secure the best seats, even though in cold drafts (the park is actually a very windy place, being located on the seaside). 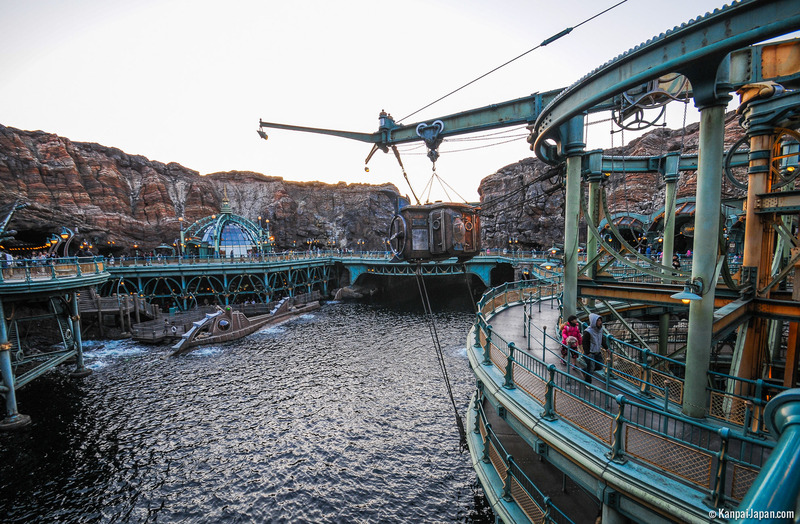 With the seaside as its theme, Tokyo DisneySea offers an essentially original experience enhanced by a mind-blowing visual display. At night and in the evenings, do not miss the fabulous illuminations. The spell-binding light engineering is simply dazzling while theme work achieves the most amazing standards. It is probably one of the most beautiful Disney parks currently available. One of the most magical and beautiful spots of all is undisputedly the Mysterious Island located in the heart of the volcano, the park’s symbol, with its moored Nautilus. 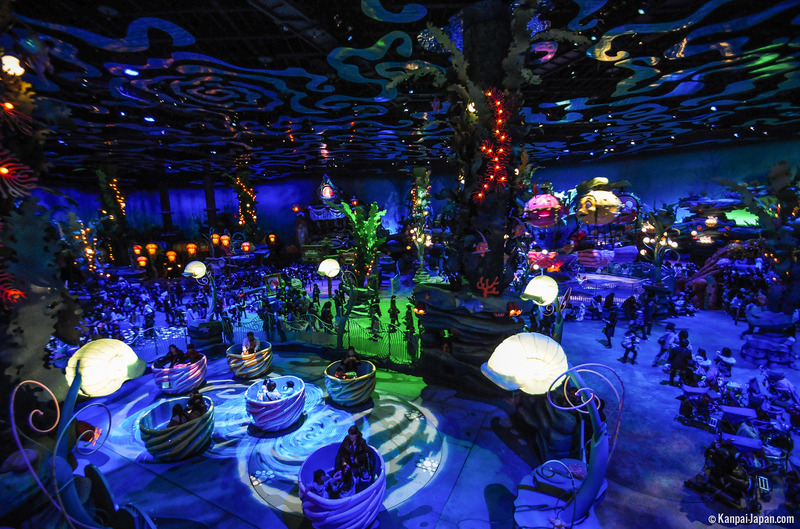 Of the various attractions that we tried, let us mention 20,000 Leagues Under the Sea. Unfortunately, in the Japanese version, you will not board a replicated submarine and descend a few centimeters beneath the surface but will, instead, get on a comparatively standard cabin. Water and bubbles are then sprayed between the portholes’ double glazed panes, a clever way of simulating diving. For more thrills, visit the Tower of Terror. It’s not just about the thrilling finale, but also about the ambience that pervades the premises as soon as you start queuing as well as the visit of the hotel. In Tokyo Disney resorts, theme work takes on a completely different form but it is just as cleverly done. It is a shame, therefore, that the attraction does not measure up to its Florida counterpart. You will not ride an elevator across a room into the fourth dimension; instead, some passengers will merely disappear in a play of mirrors. The finale also seemed much shorter. In spite of all this, you’ll get your fill of thrills with Tower of Terror and enjoy a setting that testifies to a careful attention to detail as soon as you start queuing. Finally, it would be unthinkable to leave the park without visiting the Volcano and its Journey to the Center of the Earth attraction. Certainly the most disheartening moment of all because of the almost 2-hours wait through a maze of dark caves filled with hot, sultry air, and no amusements whatsoever for visitors. The Voyage itself is pleasant enough especially when you get ejected out of the volcano. You may also, of course, simply walk along the large avenues of the park and enjoy the lands’ carefully engineered magic atmosphere. 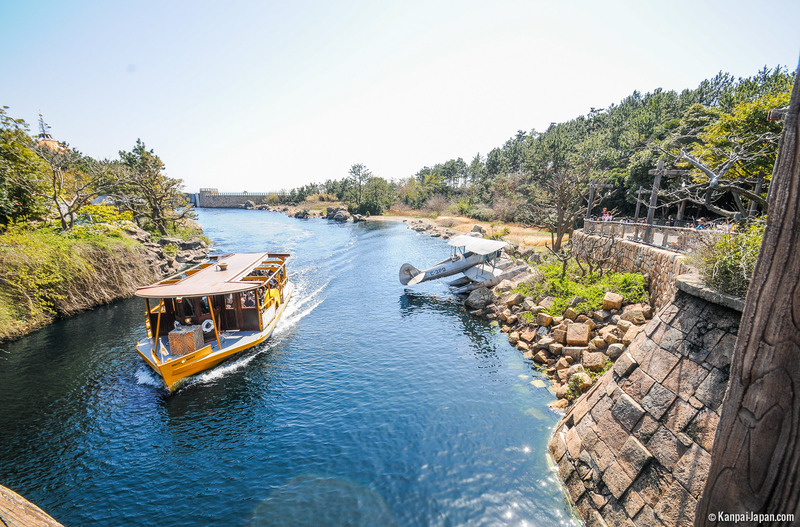 You will enjoy a completely new experience when you visit DisneySea and thus add to the Tokyo experience, already a definitely drastic change from your usual surroundings. 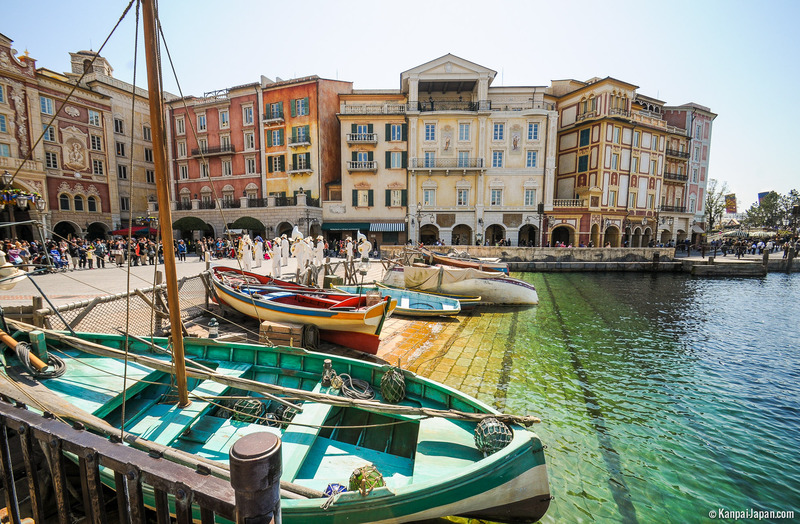 We therefore strongly recommend a visit to Tokyo DisneySea. 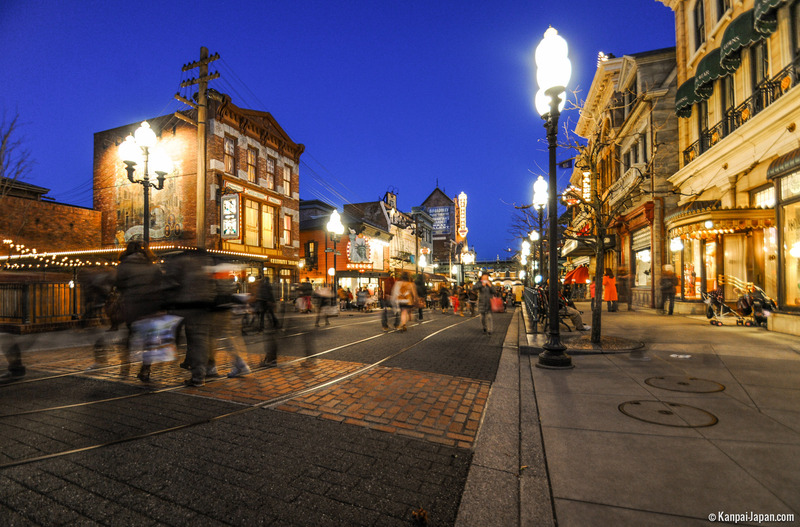 Our advice is to go for a one-day visit with children; for adults, the park offers special deals for an evening visit. No doubt it is an experience you will never forget. Booking procedures are quite different from other Disney parks in the world. We therefore suggest that you follow the guidelines below, especially as the official website if not very helpful in that respect. All rates can be found in our Practical Information Section. 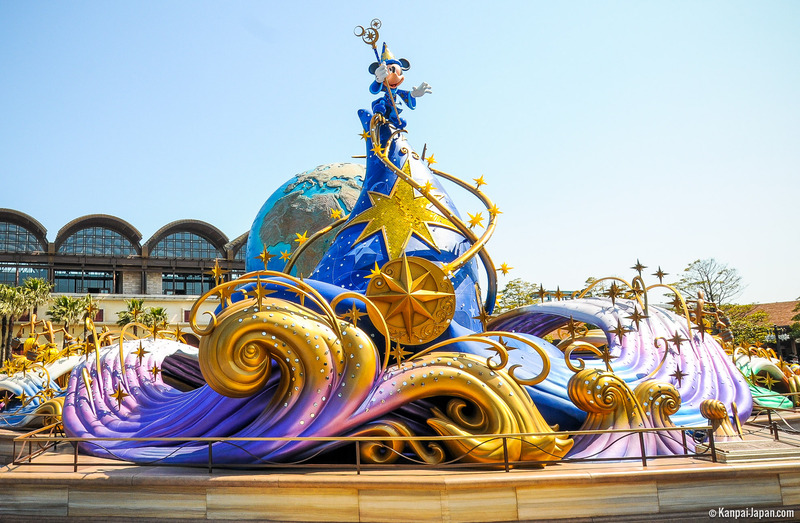 Tokyo Disney Resort consists of two parks besides the entertainment complex at the train station: Ikspiari (which matches Disney Village or Downtown Disney). It is possible to visit both parks in a single day but you’ll never stop rushing and will only be able to walk around. For a more comprehensive approach, we recommend a one-day visit to each park. 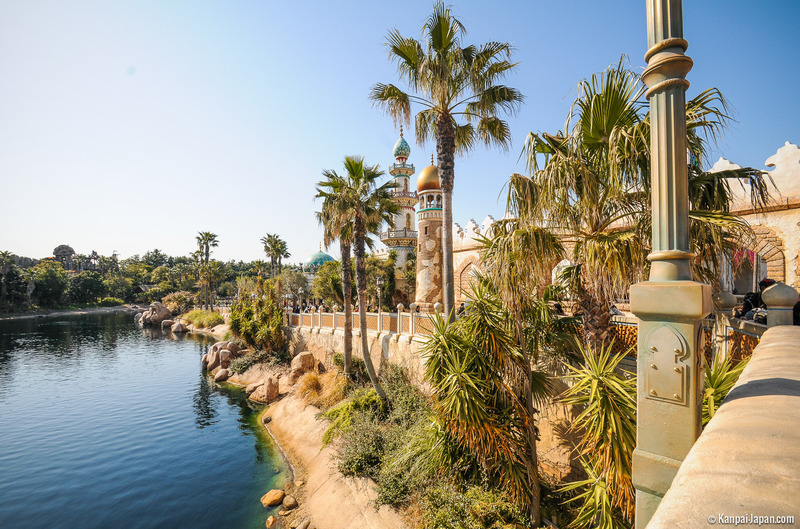 Whereas Disneyland Paris, for example, offers better deals for advance bookings and tickets that allow you to visit both parks on your ticket’s first day (American parks offer the Park Hopper option), ticket rates do not vary in Japan. You will therefore have to decide which park you wish to visit on a particular day. You will not be able to pass from one park to the other unless you stay more than two days. This will be possible with Multi-Day passport tickets but not until your third day. “After 6”: access allowed from 6 p.m. on weekdays. “Starlight”: access allowed from 3 p.m. at weekends and on holidays. At the parks’ ticket offices (Be ready for a long wait!). Ticket selling starts an hour before opening time (or an hour ahead of access time for After 6 and Starlight tickets) and ends 30 minutes before closing time. Last but not least: You may pay for both your tickets and purchases with your Visa card or even your Mastercard, which is not, as yet, all that common around Japan. 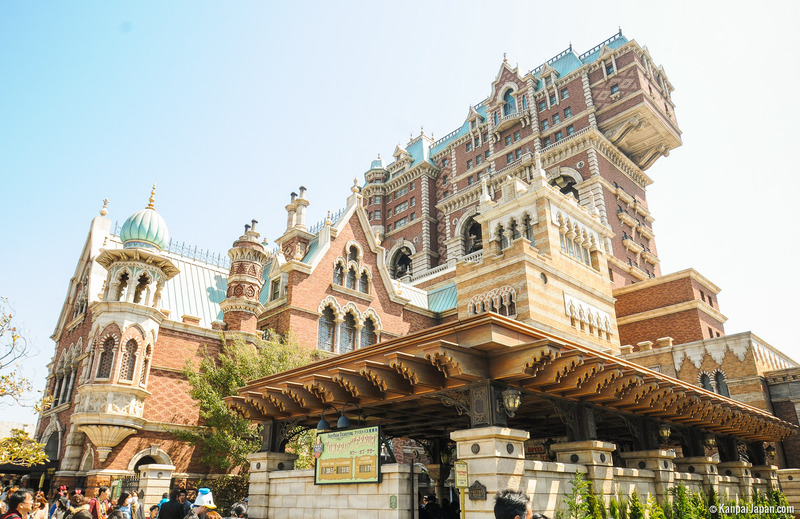 In October 2014, Tokyo Disneyland and DisneySea officials announced their intention to raise 500 billion Yens (about $4.5 billion) to extend and improve both parks over the next decade. The money will in great part fund the reshaping of Fantasy Land. 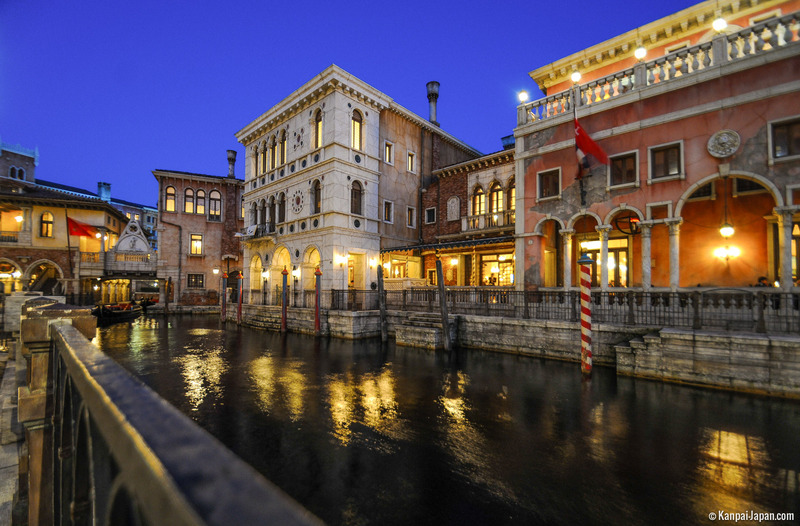 In DisneySea, a new port-of-call, based on the hugely successful Frozen theme, will be created along with new attractions and shopping centers. This announcement also aims at outstripping the Shanghai Disney Park Project in China (a $4.8 billion scheme) and the 20th Century Fox Park in South Korea ($3.5 billion). The Port Discovery area and the Storm Rider attraction will be closed from the middle of May 2016 to allow for the building a new World of Nemo attraction scheduled to open in the spring of 2017. It will consist of a closed space with multiple image projections intended to make spectators feels as if they were the shape and size of a fish. 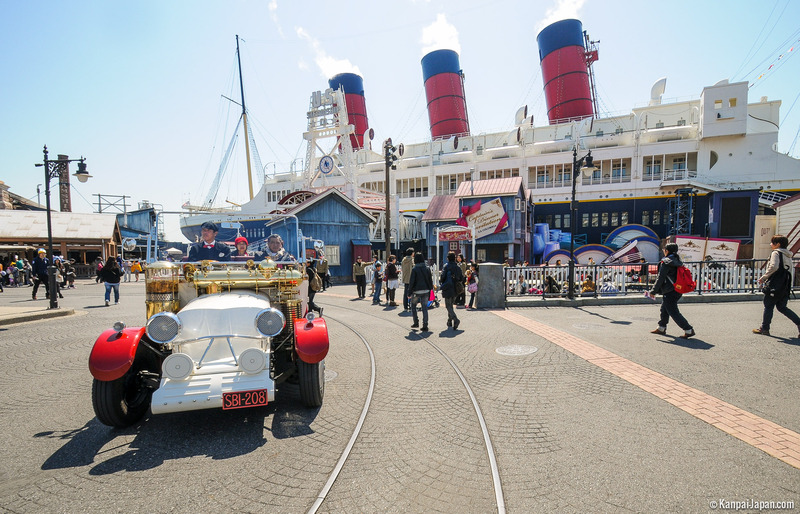 DisneySea 15th anniversary celebrations will take place from 15 April 2016 to 17 March 2017. Free for children of 3 years old and under. These rates have known four increases between 2000 and 2015. However, they remain generally lower than those of the Western Disney parks.